Back in Patch 2.0.1 Blizzard implemented what is known as the Combat Rating system. It was a system that allowed Blizzard to boost certain stats without having to overload items with raw stats. Keeping things like critical strike chance, hit chance and what not at very high levels would have been too easy when Burning Crusade hit shelves. For example, Blackhand’s Breadth used to provide a flat 2% critical strike chance and Blizzard didn’t want certain items to be a best in slow long after new gear was implemented. For a level 80 you will need 45.91 critical strike rating to equate to 1% critical strike chance. So while 28 critical strike rating equated to 2.21% crit at level 55, it dropped to 2% at level 60, providing the same bonus as it did before the change. However at level 70 it takes 22 critical strike rating to equal 1% critical strike chance, so the benefit of Blackhand’s Breadth was effectively halved when you hit leveled to 70. For a level 80 you will need 45.91 critical strike rating to equate to 1% critical strike chance. Hit chance works the same way. For example, at level 70 15.76 hit rating equaled 1% hit chance. A Hunter needed 9% hit to be capped, which we can also verify by simple multiplication. (15.76 x 9)=141.84. And since we knew we needed 142 hit rating to be hit capped, we know this is correct. At level 80 we need 32.78 hit rating to equal that 1%. Using the same simple math, (32.78 x 9)=295.02 hit rating. Oof, that’s a lot more hit rating. Lucky for us, the talent Focused Aim is easily accessible, which will handle 3% of our hit. So we can use these numbers: (15.76 x 6)=196.68, which will equal the 6% hit needed to cap hit. Looking at Armor Penetration, at level 70, 7.4 Armor Penetration Rating equaled 1% Armor Ignore after they switched from flat armor numbers. Now at level 80 we will need 15.39 Armor Penetration Rating to equal that same 1%. And of course we can’t forget haste rating. 15.76 Haste rating equaled 1% haste at level 70, with the jump going to 32.79 at level 80. [At level 80] one agility is worth 0.012 critical strike chance. Hopefully this clears up some confusion, especially about why you will notice drastic drops in your critical strike chance as you level. The same kind of diminishing returns applies to our Agility as well. At level 70, one agility equated to 0.025 critical strike chance, while at level 80 one agility is worth 0.012 critical strike chance. 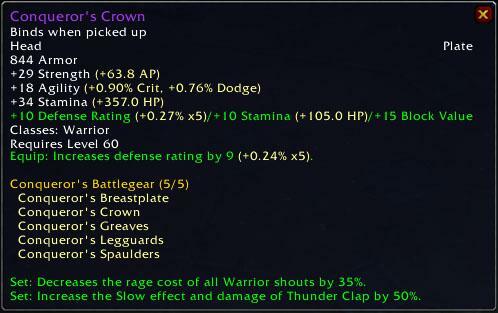 This creates reasons for Blizzard to keep stacking more stats on to items. While hitpoints of bosses go up, player health goes up, in order to maintain these DPS stats their numbers have to be increased as well. This also has a direct relation to iLevel and stat costs, which I think we’ve talked about before but might warrant another post in teh near future to re-discuss them. If you are looking for a simpler way to analyze items, I would *highly* recommend RatingBuster. You can see what it does in this screenshot. Hopefully everyone made it over here to the new home . . . in the old home. Looks like the RSS feed is being updated after Feedburner’s DNS servers were updated with the new host information. I plan on adding some more links on the site like I had before, things like “Popular Posts” and what not. So you might see a few additions here and there on the site, but I think we are finished with our downtime and should be running again in full force bringing you Hunter stuff! Thoughts, comments, etc etc! You know what to do! Ah, so that's the level 80 Hit cap. Please correct me if I'm wrong… I thought that Ghostcrawler, or some other dev, said in 3.0 +10% hit was the new cap, as opposed to the 9% + 1% miss that was unavoidable. According to Elitist Jerks, the 1% unavoidable miss was a myth. It stemmed from the fact that casters had a flat 1% chance for spell resist. But through all their testing and who knows how many combat logs there was never any evidence to support that we had a window of miss we couldn't overcome with +hit. Due to the way hit works, attacking a boss level mob requires the same increased hit percentage if you are 70 or 80. The hit rating values needed to get there, however, are vastly different. Even from a phone too! I think you'll like WordPress. I've been using it as my personal CMS (despite it not being a real CMS) for awhile and love it. So here's a strange question… if for some strange reason a person levelled from 70 to 80 without changing any gear or talents whatsoever, would they actually do worse against say lvl 70 opponents than they did when they themselves were lvl 70? Nah, since you are over their level your chance to miss goes down. And having a 10 level difference you should most likely never miss. Hmmm, they seem OK on my end. I see my last comment was 12 minutes ago, and this one you just left was 7 minutes ago. Not sure, but that is odd. You said “Hit chance works the same way. For example, at level 70 15.76 hit rating equaled 1% hit chance. A Hunter needed 9% hit to be capped, which we can also verify by simple multiplication. (15.76 x 9)=141.84. And since we knew we needed 142 hit rating to be hit capped, we know this is correct. At level 80 we need 32.78 hit rating to equal that 1%. Using the same simple math, (32.78 x 9)=295.02 hit rating. Oof, that’s a lot more hit rating. I think you meant for level 80 (32.78 x 6)=196.68. 15.76 would be correct at level 70. @Tormentor You’re right, that number was incorrect when I was typing in the formula. Also lucky for us, we now know that the Hunter hit cap is only 8% so the required amount of +hit is only 164 when you take 3/3 Focused Aim.